In a stunningly lopsided pair of contests this past weekend, the No. 1 Wisconsin Badgers (17-1-0, 7-1-0 WCHA) defeated the Syracuse Orange (4-12-1, 4-3-0 CHA) at LaBahn Arena. Similar to Syracuse’s past out-of-conference games this season, the Orange were completely outmatched by the offensive output of their opponent. 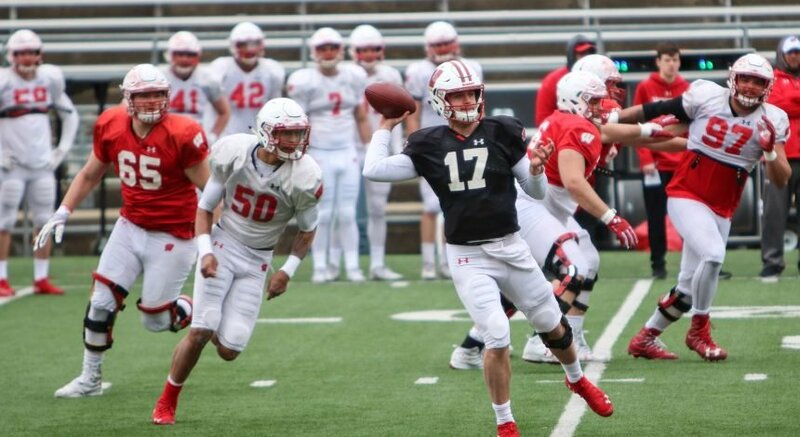 While Syracuse is certainly no stranger to out-of-conference losses this season, the Badgers truly opened the floodgates in Madison unlike anything else the Orange had faced all season. 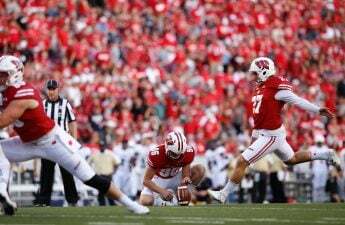 This performance was a unique spot within the Badgers season as well. Scoring a grand total of 15 goals through the two games, they eclipsed their previous best offensive production of 11 goals against the Mercyhurst Lakers. Yet the full picture of Wisconsin’s dominance is not confined by their season-best goal production, as the Badgers also allowed just two goals over the extent of the two-game series. The Wisconsin defense has only allowed two or fewer goals during a weekend series four other times this season. Furthermore, the Wisconsin defense yielded just 21 Syracuse shots over six full periods of hockey. Even with an extremely efficient shot to goal conversion rate, Syracuse would have been hard-pressed to keep up with the offensive prowess of the Badgers. 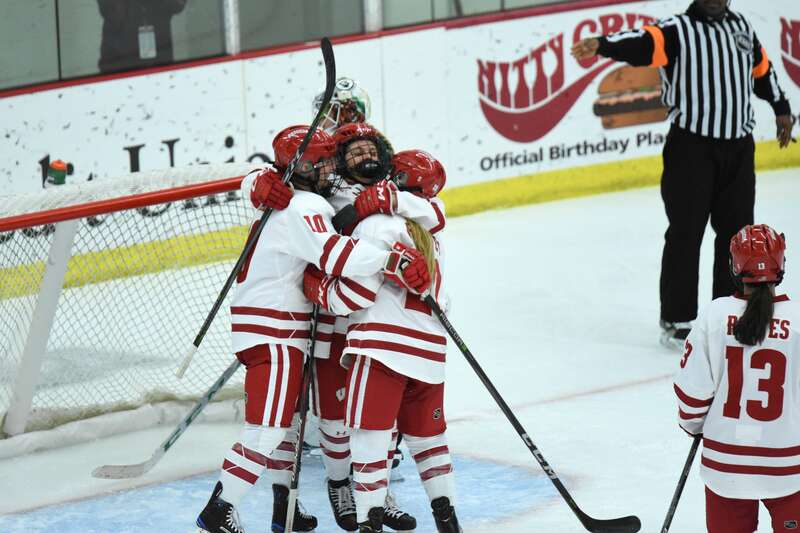 Multiple members of the Badger squad contributed to the 15 aggregate goals attained over the weekend, as eight different players put the puck in the back of the net at least once. The most notable scorer for the Badgers was senior Emily Clark who netted a hat-trick in Saturday’s 9–1 victory. The general takeaway from this series is that, while the Badgers certainly put on a unique performance in terms of the sheer amount of goals they scored, it’s simply a continuation of what the Badgers have done all season. With the second most goals scored in the nation and the No. 4 ranked scoring offense, high levels of goal output have certainly not been absent from the Badgers’ season. Moving forward, however, look for the Badgers to continue to improve on the defensive side of the ice. In their last nine games, half of the total number the Badgers have played this season, their defense has allowed only seven goals. Compared to a 13-goal total for the first nine games of the season, the Badgers have made impressive strides to fill any defensive gaps which previously existed.